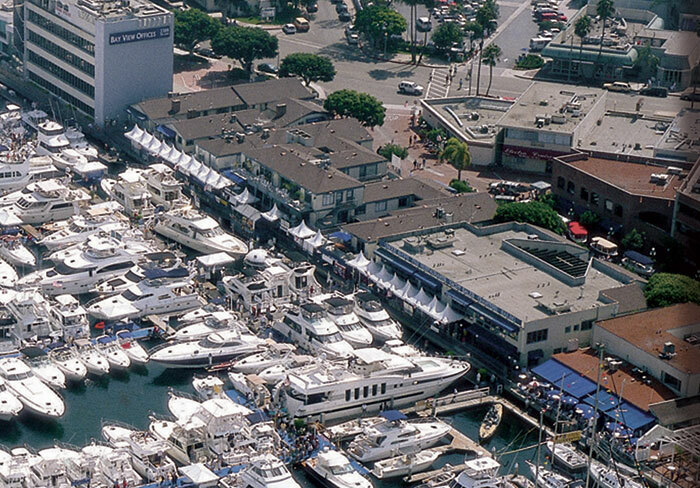 NEWPORT BEACH — Lido Marina Village, which has changed hands various times over its four decades, may get a new owner this spring, if a contract between Vornado Realty Trust and DJM Capital Partners Inc. is finalized. “We hope to get it resolved by the middle to the end of April,” confirmed Eric Sahn, chief financial officer for DJM Capital Partners. The contract is currently in the works, and tenants have been notified, he added. Conceptual plans for a renewed Lido Marina Village are still being completed and will be presented to the Newport Beach City Council in the future, Sahn said. The company is working with architects and designers to “re-vision” the property and bring people back to the once-bustling plaza of shops and restaurants. The working plan is to use what is currently in place to “create a space that attracts very high quality,” businesses, including restaurants and retailers. Bringing a large chain to the site is not on the agenda, he said. DJM Capital Partners is optimistic that the company will breathe new life back into Lido Village, Sahn said. Revitalizing the parcel has been on the city’s “wish list” for years. In 2010, the Newport Beach City Council made the center one of its top priorities and led a comprehensive study with Vornado Realty Trust and the Fritz Duda Co., owner of the Via Lido Plaza center. The study centered on ideas to bring visitors back to of the 17-acre shopping village. DJM Capital Partners, a development company with corporate headquarters in San Jose, aims to do what others in recent years have not been able to do. Thus far, city officials privy to the company’s vision have indicated their appreciation for the new plans. According to plans, the village’s electrical infrastructure will be replaced with one that is more energy efficient, and plumbing will also be replaced. DJM Capital Partners revitalized Bella Terra mall in Huntington Beach, in 2005. The Village at Bella Terra, a 467-apartment complex, is currently under construction.